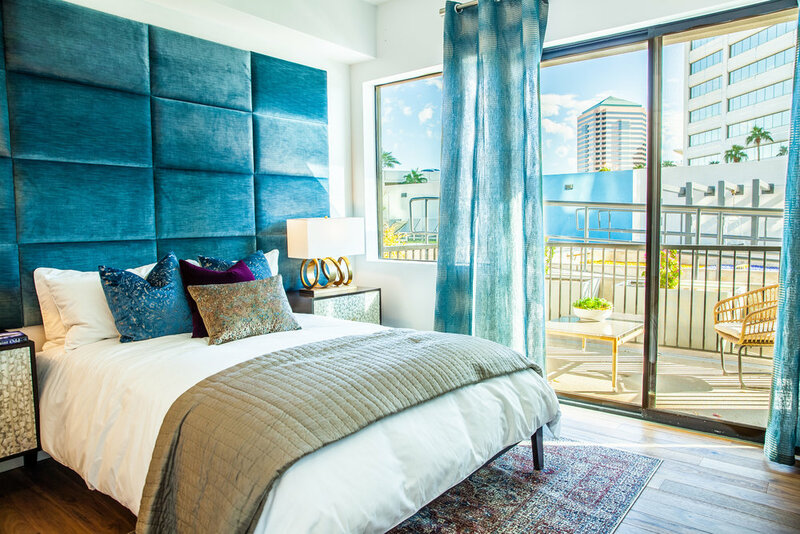 The very talented design team has thoughtfully crafted each units interiors at Edison Midtown Phoenix Condos. Substantial split master plans with an active urban feel served as the inspirational backdrop for our team. Buyers will have the opportunity to choose between two unique standard finish palettes: Urban Glow and Industrial Revival, or upgrade to Platinum, our upgraded design curated by our in house design team. Clean lines and symmetrical angles in a harmonious color palate of white, dove gray and slate are met with striking stainless steel accents and sleek white cabinetry for this calming and minimalistic design. Soft light is reflected throughout the living space, and white cabinets and modern-style countertops define the luminous finish palette. 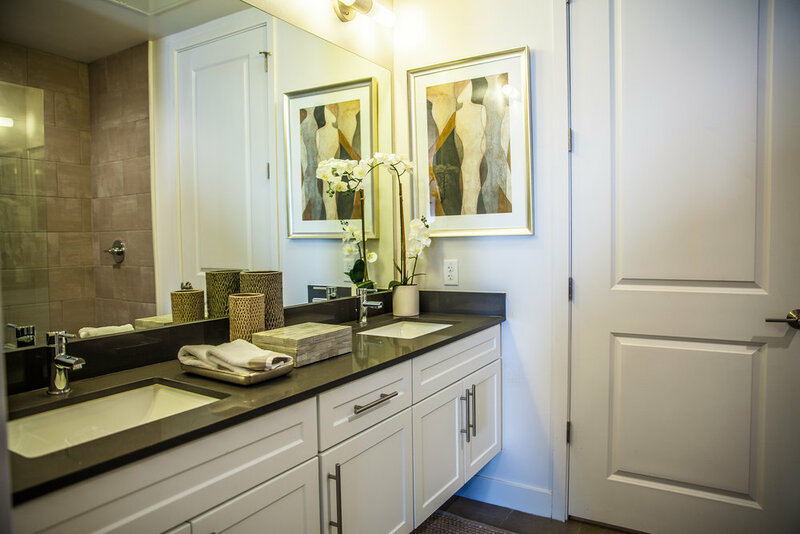 The rich real walnut wood floors and taupe tile and carpet tones in the bathroom and bedroom promote an effortless sense of modern elegance throughout the unit. Contemporary style gets a modern edge in this design scheme that explores the spectrum of warm earth tones. A variety of wood tones and textures appeal to your intuitive side. 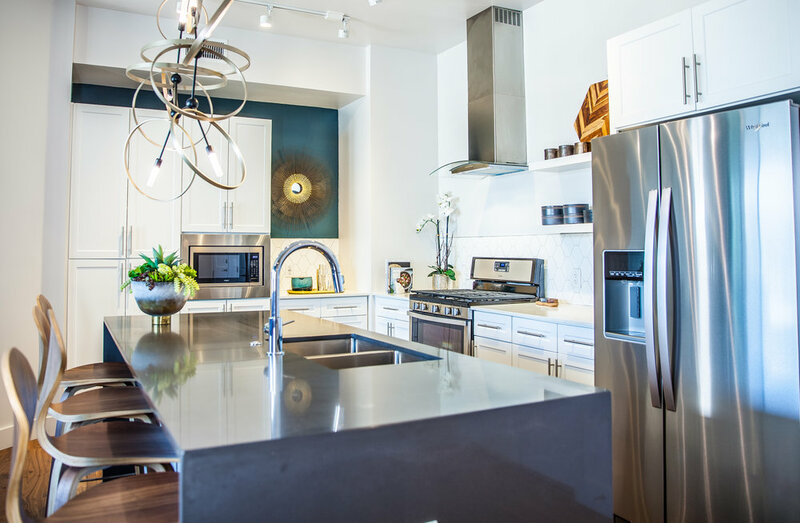 The white quartz countertops and combination of cabinet styles create the perfect blend for a contemporary urban lifestyle. The subtle beige tones in the tile and carpet, mixed with wood accents in cabinetry, compliments the clean quartz and modern lines for look that's both timeless and trendsetting. Sleek, modern and elegant with upgraded features and finishes throughout, Platinum is the premiere package for buyers desiring a truly elevated lifestyle. 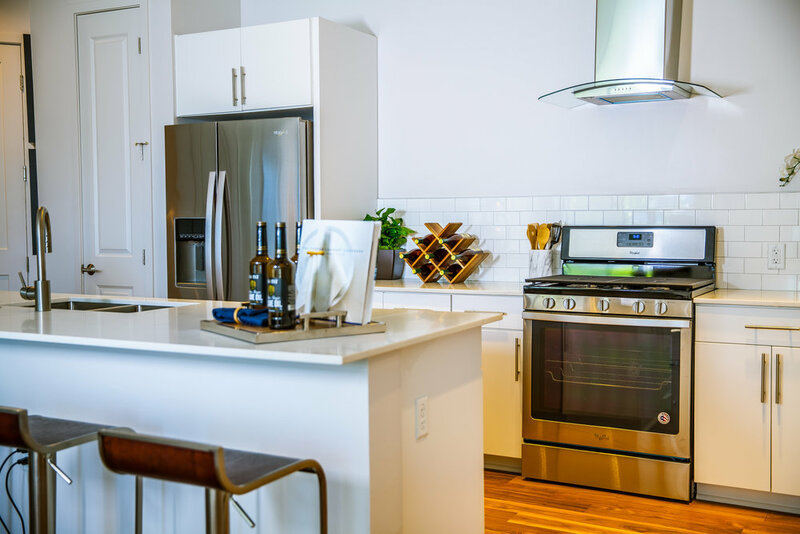 Platinum offers high-end Bosch appliances and Delta Brizo plumbing fixtures, upgraded Berber carpet and luxurious marble-tiled master bathrooms. High gloss white cabinets and dark quartz countertops create an elegant, polished interior that defines the Platinum lifestyle.